With only $4,000,000 of space beneath the salary capp -- assuming that Chris Gardocki doesn't, finally get released -- and this year's gaggle of draft picks to sign it certainly seems unlikely that the Steelers will be looking to free agency for any helping in what is beginning to take on the appearences of a rebuilding project. However there is one player the team should look at seriously, even if it seems a crazy idea. In all of the noise associated with their release of Corey Dillon, and the subsequent signing of Adalius Thomas, few have taken note that the team has, apparently, ended their association with wide receiver Troy Brown. It seems that his age -- Mr. Brown will be 37-years old in July -- is the primary reason for this decision. While I'm loathe to argue with the collective wisdom of the Patriot's Scott Pioli and Bill Belichick, the view from here is that Mr. Brown has some football still ahead of him. 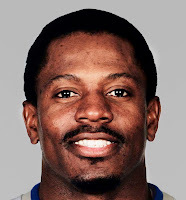 Despite his advanced age he managed to come up with 43 receptions in 2006 (his most in a single season since his 97 catches in 2002), of which 28 were for first downs (a conversion percentage of 65.12). Indeed, his 43 receptions would have been third highest on the Steelers last season, and his first downs would have tied him for third with Nate Washington. Beyond the numbers, Troy Brown is a winner -- his play against San Diego, stripping an apparent fourth down interception away from Marlan McCree, thereby saving the Patriots' season is evidence of that -- who has a knack of coming up with big plays in big games. Certainly it would be difficult to convince Mr. Brown to begin anew after spending fourteen years in New England, but here's hoping that Kevin Colbert makes a phone call and asks.